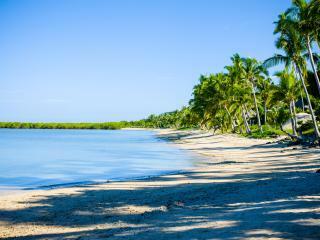 Anchorage Beach Resort offers a beachfront location, a short distance from Lautoka, the second largest city in Fiji. Nadi International Airport is easily accessible, and is just a 15 minute car ride away making this Fiji accommodation ideal for pre and post stays. Facilities include a swimming pool, day spa, restaurant and swim up bar. 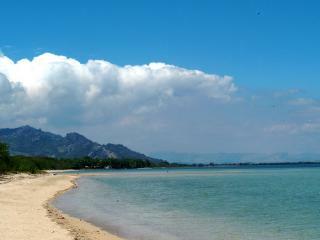 There are garden and ocean view rooms which are spacious and comfortable, suitable for couples and families. Just 15km north-west of Nadi International Airport, midway between Nadi and Lautoka, is Vuda Point and The First Landing Resort, an excellent accommodation option still quite close to Nadi and with easy access to the islands in the Mamanuca group. The drive to First Landing Resort will take you through scenic countryside and sugarcane fields, past the Sleeping Giant Mountains and through historic Viseisei Village, Fiji's first legendary village settlement. 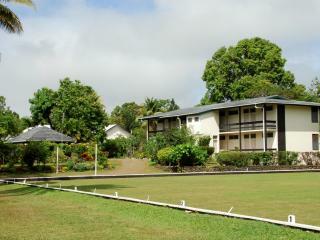 The Tanoa Rakiraki Hotel is located half way between Nadi and Suva on the Kings Highway. The colonial style hotel is set amongst magnificent colourful gardens and offers air conditioned rooms. The Rakiraki Hotel provides genuine hospitality at a relaxed pace. Facilities include swimming pool, tennis and lawn bowls. The pride of Lautoka - The Tanoa Waterfront Hotel located on the foreshore of the city with spectacular views of the harbour is a great place to catch the sunset from the famous Sunset Bar during the evening. The Tanoa Waterfront Hotel offers Superior and Executive rooms, as well as Suites, a bar and restaurant, and two swimming pools to relax by. The Fiji Orchid is ideal for those after a stopover location before or after heading out to the stunning Fijian Islands. 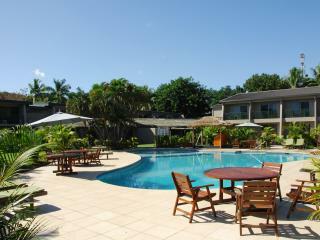 This Fiji accommodation offers luxury bures just 15 minutes from Nadi International Airport. The rooms are spacious and luxuriously comfortable offering the perfect nights sleep after a long flight. The garden bures are set on 5 acres in the foothills of the Nausori Highlands. 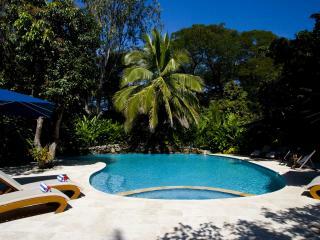 Situated on Viti Levu's (Fiji's main island) most Northern point, a 2.5 hour drive from Nadi Airport. Wananavu offers spectacular views of the reef and beautiful sunsets from the bures and villas. The resort is an ideal base for exploring Viti Levu's north. The fishing, snorkeling and scuba divingare spectactular. Tennis, volleyball, island trips and picnic's are also available.